Ivan has worked in the coffee industry for decades, starting at a young age, as a coffee picker, before moving into the coffee mill where he would start work at 4.30am washing coffee. His various roles included patio man, parchment assistant, attending to the cherry section, outgoing lots, roasting area, and warehouse. 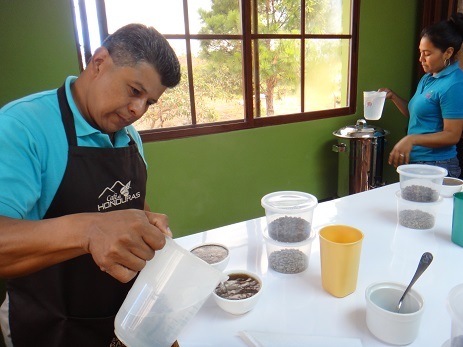 Ivan’s experience and skills led to his promotion to ‘official cupper’ for RAOS cooperative. Since then he has become an award winning coffee cupper. ‘Cupping’ is a coffee-tasting technique used to evaluate the quality of coffee based on its flavour and aroma. Cupping is a highly skilled job that requires a lot of training. Now a licensed “Q” grader, which has allowed him to build valued connections with roasters and importers from the United States, Canada, Japan, and Europe, Ivan is committed to working with the RAOS cooperative in his native Honduras. The RAOS cooperative is Fairtrade certified since 1997 and has received support from Irish Aid funds for several years, including support for running the first ever training course for coffee cuppers in Honduras in 2008. 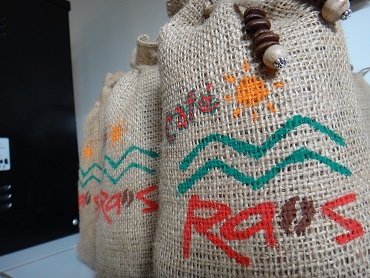 Located in the Montecillo Mountains in the department of La Paz, Honduras, RAOS was the first cooperative in Honduras to export organic coffee from small and medium producers. Today RAOS is a group of 228 producers (174 men and 54 women). Its main goal is to improve the economic, social and cultural status of its members by selling high quality organic Fairtrade products.